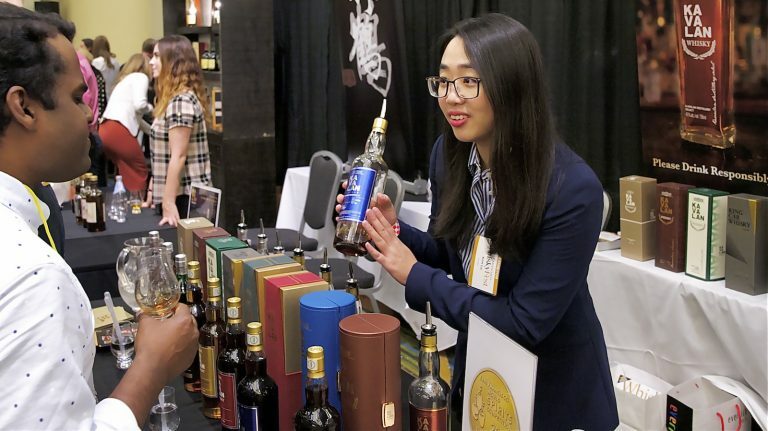 The floor was buzzing and the whisky was flowing at WhiskyFest New York, which took place at the Marriott Marquis in Times Square on December 4, 2018. 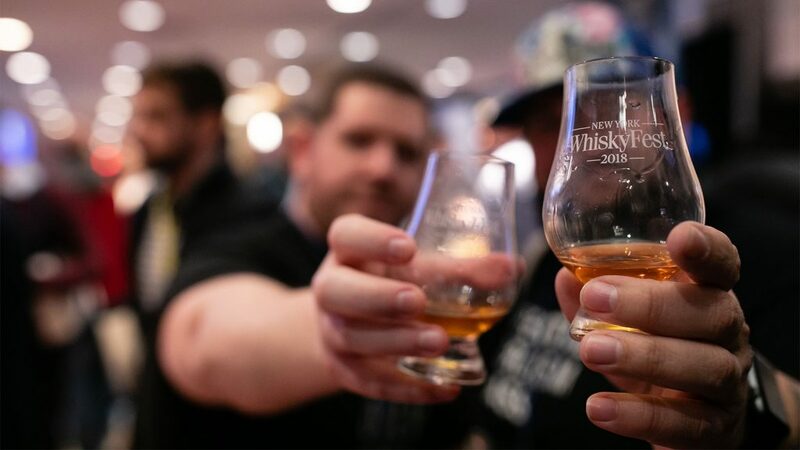 Thousands of attendees—newcomers and returning fans alike—enjoyed over 475 different whiskies, poured by master distillers, blenders, and other experts. 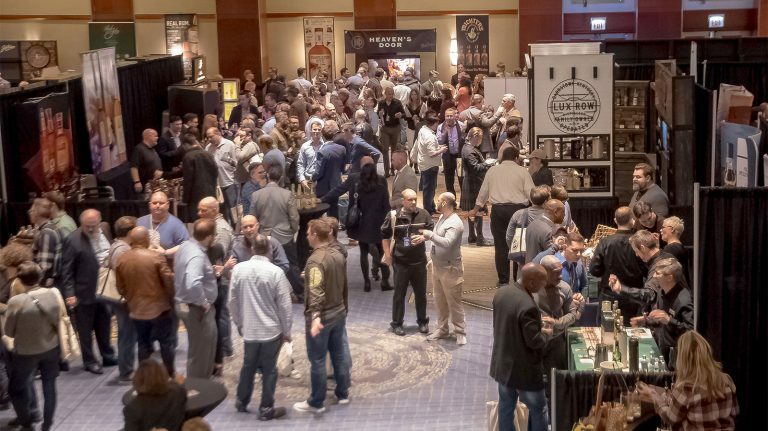 Each WhiskyFest is full of highlights, and this year was no different. The Bowmore booth included an oyster luge where guests could sip scotch from an oyster shell, while Blackened American whiskey offered the chance to taste the effect of Metallica’s music on barrel maturation. 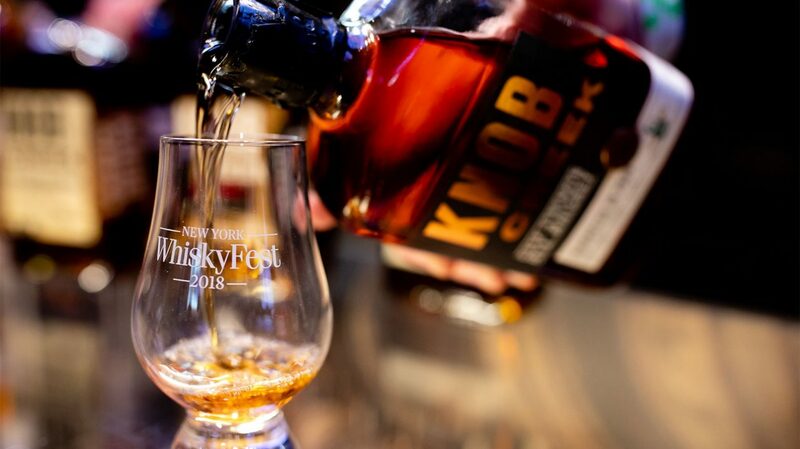 Attendees sampled whiskies from Scotland, Ireland, Canada, Japan, Taiwan, India, France, and all across the U.S.: Kentucky, Tennessee, Indiana, Texas, California, Colorado, Illinois, and, of course, New York. Plenty of Whisky Advocate’s Top 20 whiskies of 2018 were on offer, including the Whisky of the Year, Nikka From the Barrel. Elsewhere, attendees sought out Knob Creek Cask Strength Rye, Port Charlotte 10 year old, Glendronach 15 year old Revival, Laphroaig 10 year old Cask Strength, 1792 Bottled in Bond, Little Book Chapter Two “Noe Simple Task,” and High West Double Rye!, which were also ranked on the Top 20 list. Throughout the evening, the thirst for whiskey was paired with a desire for knowledge, which was delivered at every booth and seminar. “Usually at a lot of the festivals, everyone is just trying to fill their glasses,” said Gary Pickard, who was pouring GlenDronach and fielding questions from knowledgeable attendees. 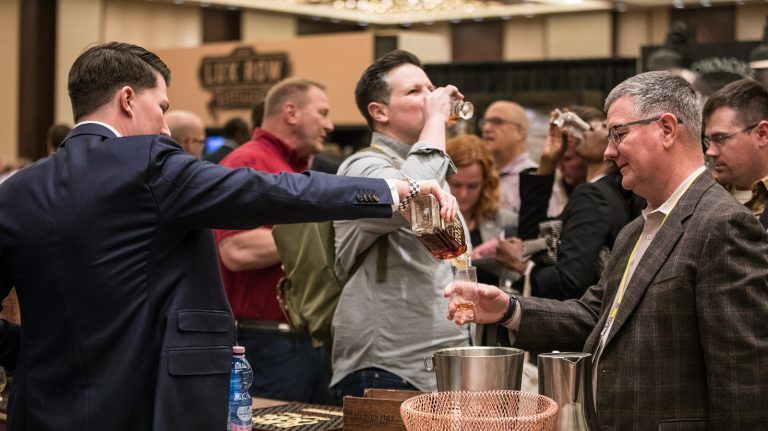 “At this event, everyone wants information, and that’s the key.” That curiosity carried over to the seminars, which were led by some of the leading experts in scotch, bourbon, and beyond. Topics included a decades-spanning tasting of Lagavulin, two opportunities to enjoy Islay scotch—Laphroaig, Bowmore, and Ardbeg—aged at least 20 years, an in-depth look at barrel maturation with Maker’s Mark, and an “old meets new” tasting of Japanese whiskies from Suntory. An entire family of whisky lovers attended “Scotch is Coming! A Tasting through Diageo’s Game of Thrones Scotch Collection” led by Ewan Morgan. Greg Porcaro and his son, Greg Jr., have been coming to WhiskyFest for six years, even converting their significant others into whisky lovers along the way. 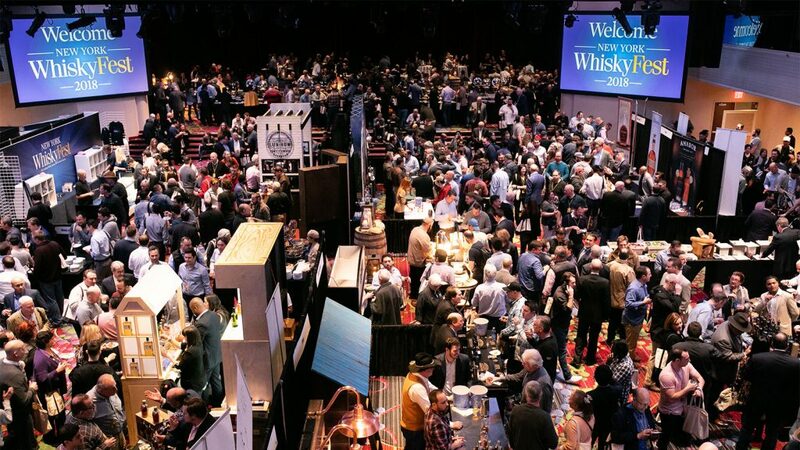 Each WhiskyFest the Porcaros attend has built on their love of whisky. A few years back, Greg Jr. was introduced to Chicago-based FEW Spirits at WhiskyFest and became an instant fan. “Whenever I can find FEW, I grab it—wherever it is, as much as I can,” he said, noting that he enlists his fiancée Theresa’s help in tracking down limited-edition bottles. 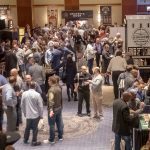 That sort of super-fandom is what makes WhiskyFest such a special event. One attendee brought a bottle of Compass Box Rivals for master blender John Glaser to sign, saying he’ll keep it sealed since he has eight more at home to drink. The members of the Ridgewood Whisky Club, sporting velvet blazers with a custom patch, expressed a similar devotion to Glenmorangie, specifically the brand’s Signet expression. 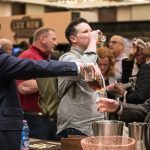 The 2019 dates for WhiskyFest have been set: WhiskyFest Chicago takes place March 29, while WhiskyFest D.C. hits the capital city on April 10. 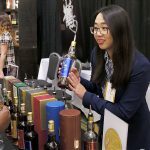 In the fall, WhiskyFest San Francisco will occur on October 4, and WhiskyFest New York returns on December 3. Tickets for the spring events are on sale now!